The First Battle of Murfreesboro was fought on July 13, 1862, in Rutherford County, Tennessee, as part of the American Civil War. On June 10, 1862, Union Maj. Gen. Don Carlos Buell, commanding the Army of the Ohio, started a leisurely advance toward Chattanooga, which Brig. 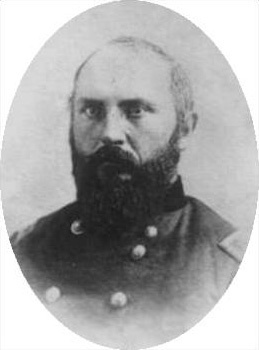 Gen. James S. Negley and his force threatened on June 7–8. In response to the threat, the Confederate government sent Brig. 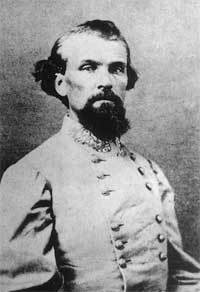 Gen. Nathan Bedford Forrest to Chattanooga to organize a cavalry brigade. By July, Confederate cavalry under the command of Forrest and Col. John Hunt Morgan were raiding into Middle Tennessee and Kentucky. Forrest left Chattanooga on July 9 with two cavalry regiments and joined other units on the way, bringing the total force to about 1,400 men. The major objective was to strike Murfreesboro, an important Union supply center on the Nashville & Chattanooga Railroad, at dawn on July 13.